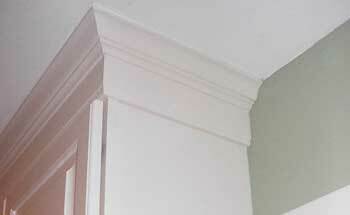 Wyeth Woodworking and Remodeling also specializes in trim work. Our skilled carpenters and subcontractors will advise you on the best trim on doors, windows and base and crown moldings. Adding trim in your house seamlessly joins walls and floors, architecturally enhances fireplaces, windows and doors and creates the illusion of more space and higher ceilings. Trim work can be made from a variety of materials that are easy low cost and low maintenance. Though wood trim is most commonly found along baseboards and ceilings, ceramic casing with beveled edges and glazed finishes make trim easier to clean. PVC Trim is also a choice that is generally used outdoors because of its durability. Let Wyeth Woodworking and Remodeling work with you on your moldings and trim, whether to increase the value of your home or to just make it more attractive.